Shoot 'n Share is another cool application, where we can shoot any objects as we like as a photo, edit and share to wherever we like to share. 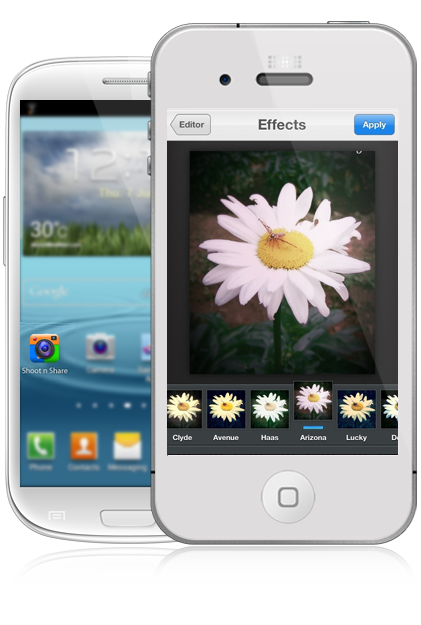 This application will enable us to make a fun, creative and pro-like photo-shoot by only editing instantly from the menu. After we done editing, the previous photo will automatically save to camera roll and we can share it to the world, or just print it. Either from email or social media like Twitter and Facebook, the photo will be easily been share and show it up worldwide. As easy as it fun.